1) I found a tub of paperclips that I've had since middle school. 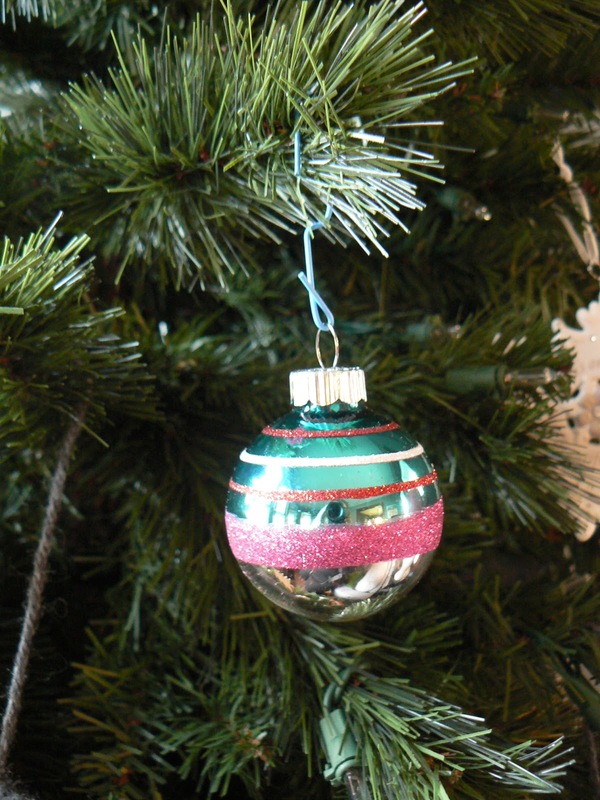 2) I started putting ornaments on my tree and had about 20 with no hooks. and my ornaments with no hooks and I made ornament hooks. Which saved me probably $3.99 and a trip to the store so not big stakes but still a win-win! And then I hung it on the tree. I also sort of love that my paperclips are colorful but the plain silver ones would work too. I'm sure I didn't invent this idea but I am glad that I pulled it from the recesses of my mind so I didn't have to go out and buy ornament hooks. Have you done this before? Also, my tree is up! I'll post about it tomorrow. be tweeting this to my follоwers! Εxcellent blog and exсellent dеsign.